The Tekno RC Aluminum Stub Axles (Part #TKR5070A) are designed to reduce rotating mass as well as unsprung weight without sacrificing strength or durability. After undergoing several months of race proven testing, they meet our high standards for toughness and performance. CNC Machined from 7075 aluminum, then hard anodized for wear, they provide a weight reduction of over 12 grams per pair (over 24 grams for the whole set!). 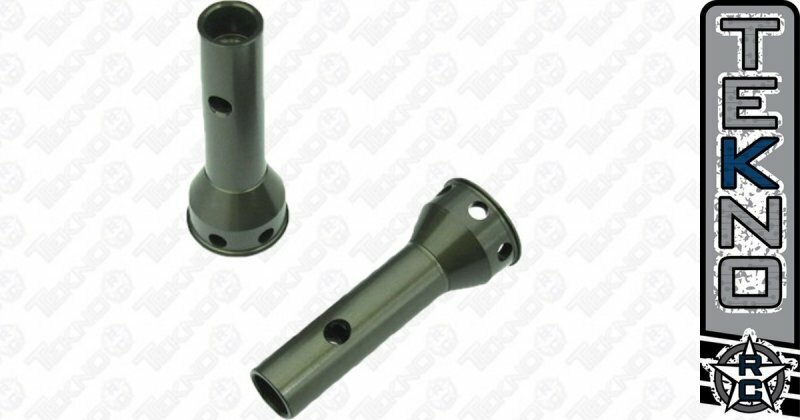 They are a direct replacement for the stock steel stub axles (TKR5070). 24.4 gram rotating mass reduction. Increased suspension efficiency by cutting unsprung weight. Three locations for CVA pin placement, extending product life and value. 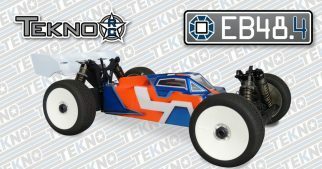 Use with the Tekno RC NB48.3, NT48.3, EB48.3 , ET48.3 and previous generation vehicles.